Robert Beezat is a Vice-President of GovHR USA with over fifty years of private and public-sector management, consulting, training and teaching experience. He has provided a variety of management consulting services to over 250 municipalities and public agencies nationwide, with public jurisdictions ranging in size from 3,000 to 5,000,000 in population. Mr. Beezat has participated in over 250 executive search assignments and has successfully completed over 125 consulting assignments in the areas of human resource management – including classification and compensation systems, total cost employee compensation analysis, employee personnel manuals, performance evaluation systems, and employee/labor relations improvement programs. In particular, he served as the principal staff to several regional consortiums addressing the rapid increases in municipal employee salaries and benefits. These consortiums involved over 70 municipalities in the Chicago area, downstate Illinois, and Minnesota. Mr. Beezat has also conducted a number of management studies reviewing the organizational structure and management operations of municipalities. These studies have ranged from individual departments such as Fire, Police and Public Works, to the operations of entire municipal organizations. He is very proud that one of the cities he worked with implemented many of the recommendations in his report and eventually won the prestigious “All American City” award. He has designed and implemented a number of management and supervisory training programs for municipalities. He has also conducted many long-range strategic planning and goal-setting processes for municipalities and not-for-profit organizations, involving over 125 “live” participants as well as close to a thousand citizens through the innovative use of cable television. Beside his consulting experience, Mr. Beezat has fourteen years of management experience in the positions of City Manager, Village Manager, and Town Administrator. He has worked in suburban and independent cities, covering the full range of municipal services including a hospital and an electric utility. He also has extensive experience in the field of economic development and has earned recognition from local businesses for innovative, cooperative approaches to addressing economic development issues. In addition to his professional management and consulting work, Mr. Beezat has been very active in working with and developing programs that benefit lower socio-economic segments of the population. He has been successful in putting together municipal, educational and business resources to address the diverse needs of a low-income, immigrant population and he has organized a number of community-based groups to resolve neighborhood problems and issues. Robert Beezat has current and past experience working with community action agencies in the Midwest. He recently worked with Board and Staff of WISCAP, the Wisconsin Community Action Agency Partnership in Madison, WI to develop a strategic plan for the Agency. He provided executive search services to WISCAP 10 years ago in filling the Executive Director position of WISCAP. He served as the Interim CEO of the Racine/Kenosha Community Action Agency (R/KCAA) in 2009 and assisted that Agency in hiring their current CEO. 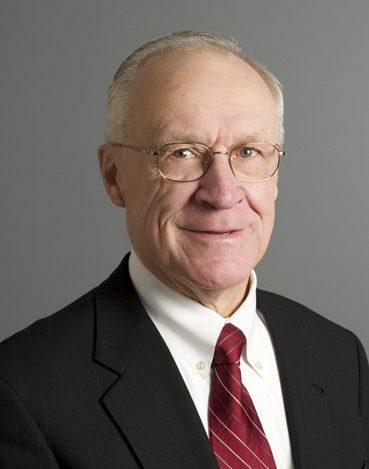 Prior to his municipal management and consulting work, Mr. Beezat worked for the Office of Economic Opportunity and helped set up some of the current Community Action Agencies in Michigan including those now serving Calhoun, Kalamazoo, and Muskegon Counties as well as several other counties. Throughout his career, Mr. Beezat has often been an adjunct faculty member at several colleges and universities teaching management, human resource, and supervisory training classes. Finally, Robert is an author of two books, Character Based Management: A Key to More Productive & Effective Organizations and Knowing and Loving: The Keys to Real Happiness. He has made over 250 presentations on one or both books to a broad range of audiences, including municipalities and municipal professional associations.